Having your business Adopt A Route can promote teamwork and positive spirit in your workplace! 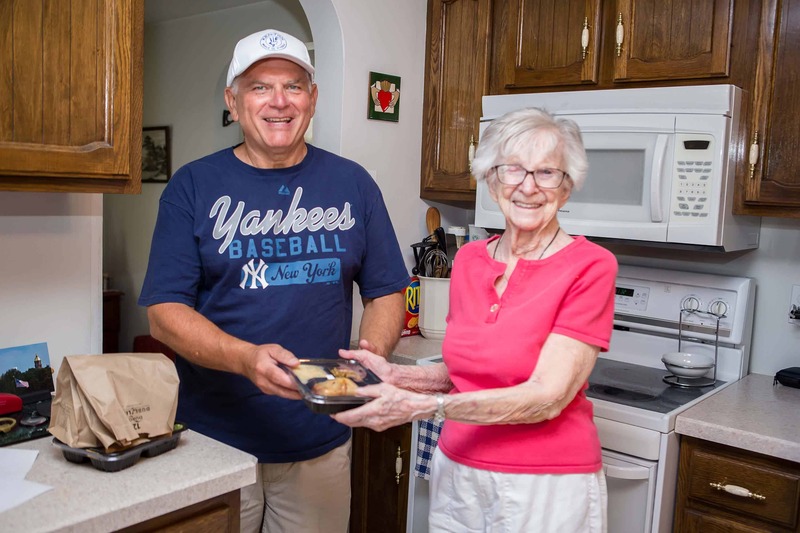 Ken-Ton Meals On Wheels currently operates 18 delivery routes with approximately 15 stops on each route. We anticipate a need to expand to 20 routes in the next few years as need expands. We would like to work with local corporations and businesses to help the expansion become a reality by having your business ADOPT A ROUTE one day a week! Your business’ commitment would be allowing staff to leave work at 11:00 AM, pick up meals at KTMOW, deliver them to clients, then return the empty coolers and bags to the kitchen. Your employees should be finished no later than 12:30 PM. If your company adopts one day a week, you will need to allow two people to leave for less than two hours away from the office! If you get yourself and seven others interested, your personal time away is a couple hours a month. If this is of interest to you or your company, please call Ken-Ton Meals on Wheels Executive Director Dan Wiles at 874-3595. He’ll be happy to work out a plan with you, whether your business has two or 12 employees who would like to help.